People who make New Year's resolutions tend to have more success at changing behaviors than those who don’t. A group of exercise enthusiasts sit down for a break between exercise routines. Failing to plan is planning to fail, and New Year’s resolutions are no exception, according to a Texas A&M AgriLife Extension Service expert. “Three reasons people don’t keep their New Year’s resolutions are that the resolution isn’t realistic, a person expects an unrealistic benefit from the desired resolution or the person wasn’t prepared to make the change,” said Dr. Jenna Anding, AgriLife Extension nutrition specialist, College Station. She said most adults tend to shy away from resolutions and those who take up the challenge are more likely to be young or middle-aged. Anding said the best way to approach successful resolution-making is for people to first list the three behaviors they most want to change, such as eating better, saving money or exercising more. The next step is to make a plan and come up with a series of smaller, attainable goals to work toward the final goal, she said. For example, she said, if the goal is to run a marathon this year but at the current time it’s difficult to run to the end of the block, consider starting with a more realistic goal of walking for 30 minutes a day three to five days a week. Anding said improving eating habits is usually one of the top New Year’s resolutions, but that resolution should also be taken in smaller bites. She said any planning should allow for unexpected events or circumstances that may prevent individuals from accomplishing their goals. “Make a contingency plan for obstacles such as bad weather when you aren’t able to exercise outdoors — or if you find yourself in a restaurant that has limited healthy food choices,” she said. Anding said it is important to choose and write down a specific date on which to begin the desired behavior change. Anding said it is also a good idea to share the New Year’s resolution with friends or family and ask for their support. Finally, Anding said, those who meet their goals should plan a way to reward themselves along the way. Texas A&M will join NutriRECS members in collaborating to improve methodology, establish higher standard for dietary guidelines. How Do You Get More Vitamin D In The Winter? Struggling to soak up the sun when it's cold and dreary? You're not alone. Vitamin D insufficiency affects almost 50 percent of the population worldwide. Leftovers: What’s Safe And What’s Not? Former Texas A&M Head Football Coach R.C. Slocum has been named interim athletic director by Texas A&M President Michael K. Young. 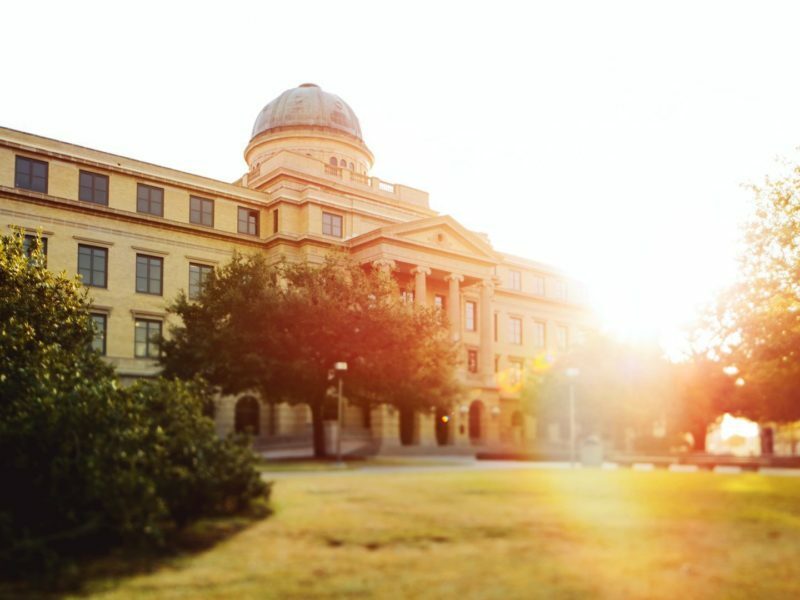 Technology Commercialization also honors 53 faculty members and other researchers in The Texas A&M System for securing patents for their inventions during 2018.